When it comes to cosmetics there is one thing I can't live without - a great concealer. I am easily getting dark circles under my eyes which I have to take extra care of in the morning. Yves Saint Laurent's advertisement promises us, "Capture 8 hours of sleep with the click of a pen." feedback I am quite optimistic. Talking arm candy, since ever two of my best friends gifted me some handmade bracelets, I haven't taken them off during the past months. Time to welcome a new one to the family. 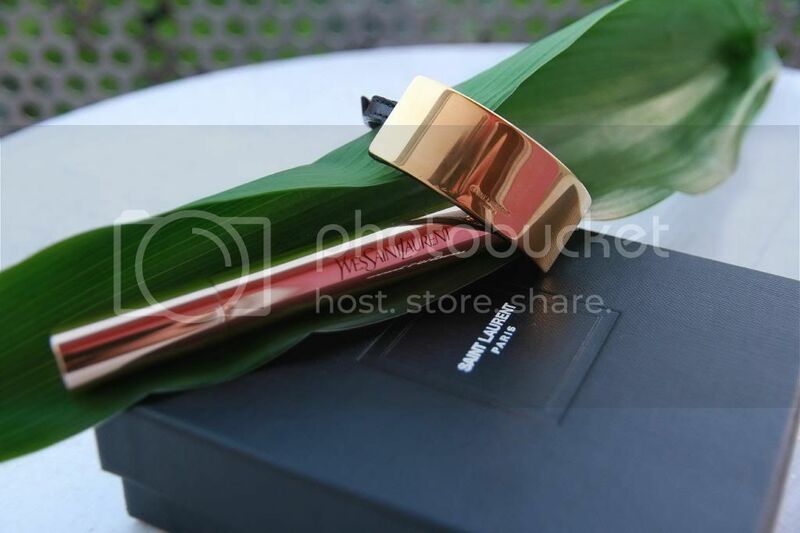 Saint Laurent classic gourmette bracelet in black leather and gold-toned brass.